What a great way to welcome in 2008. Our snowmobilers are already heading out to ride on that fresh powder and enjoy their day. Trail reports are varied from guests. Most say they have had some great rides this weekend. …those are the ones that understand that with all the snow we have had this weekend alone, the groomers cannot get to every trail in the region by 9 am each day. Did you know that a Groomer can only go about 5 miles an hour:? : I as well as most think they are doing a great job this season. I say all of this because we had a few guests that whined that “”none of the trails were even groomed””. They must not have looked at the map or listened to us when we told them about the few areas that are closed or cannot be groomed yet due to bogs or harvesting. Or maybe they just like to whine! Anyhow, Kudos to the groomers and trail workers in this region. They have done a great job preparing the trails so early in the season. And a majority of snowmobilers are having a great weekend out there. Finally I am getting this posted. 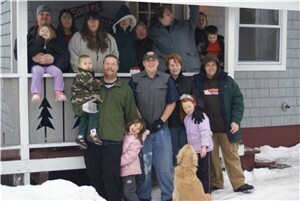 We came up with the family for 2 nights to start a new family tradition. 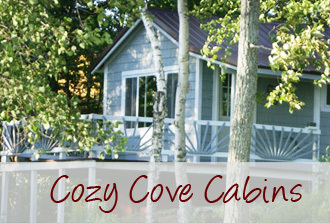 we had 3 cabins because the family is so big. On the way here we saw mommy mouse and her offspring. It was great to watch. When we arrived it was very cold and extremely windy-if we had a sled at that moment I probably would have gone for a ride. On Christmas day everyone went sledding despite the cold weather but they all had fun. I saw this post by mainesledda at hardcoresledder forum and thought I-d add it here FYI. We are both active members of the Jackman Chamber of Commerce and have been working on some fun stuff at the chamber web site for snowmobilers. 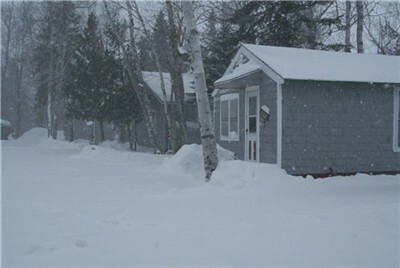 We hope you enjoy the new Jackman [url=http://jackmanmaine.org]Maine snowmobile trail report [/url] with almost daily updates throughout the season. In addition, we, at our chamber site, are in the process of offering a place to get more info about the various trails in the area. You can check out a 3d map with trail markings, leave a comment or ask a question about the trail and area, download or upload gpx of the trail and download and upload geocache coordinates for caches near the trails. If there is more information, comments, corrections etc. about the offerings on the website, please don-t hesitate to email or call the chamber. We want this to be useful resource for all winter sportsman. In the future, once we start getting some good gpx files of the trails, we hope to offer the ability to plot the trails on a map and interact with it. With a lot of snow so far this season, we think this might be a great snowmobile year and we hope everyone comes out and enjoys the trails. Special thanks to the Borders Riders Club and Maine Snowmobile Association for making Maine and the Jackman Moose River Region a premier snowmobiler-s vacation destination! 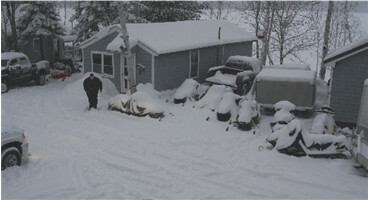 On Sunday it seemed everyone in Jackman was on their roof getting off the snow that had accumulated from past storms. We had a bit of rain last weekend when temps were in the low 30s but as it got colder, we then got snow again. Only some flurries it seed but the wind was blowing so hard, the snow was going sideways around here so chances are that the woods did get some more accumulations from it on top of that very solid base. Should make for some excellent riding. We are hearing snow on Thursday with another storm coming through on Saturday. The chance of snow is 70% so with a little luck, it will bring in a beginning to a great New Year. This is one web site I found to get a copy of your birth certificate on line… http://www.birthcertificatesusa.com/ or visit your own town government for more information. I have not used this site but it is only an example. If you have children, you may want to confirm what is needed as a photo ID for them. Do schools now issue something like this? Have a happy safe New year when you welcome it in! They are saying that this is going to be the snow storm of the year in New England…but we all know how the weather meteorologists do not get it right all the time. But, according to Kevin C, this storm was written in the farmer almanac. Below is a picture I took about 30 minutes ago. On the right of the shot, you can see the snowflakes against the gray of the cabin. At this moment though as I write this note and upload this shot, the snowflakes are twice the size and I can barely see the cabins across our drive. 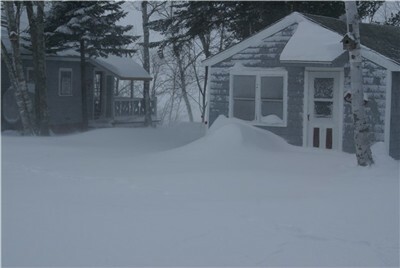 SO later on I will take and upload another that really shows the snow. OK This is the morning of the 17th of December….does not look much different does it? It is, believe me. It is hard (for me) to capture the depth of the snow…all to white you know. I need to play with my filters I think. I-ll get better! 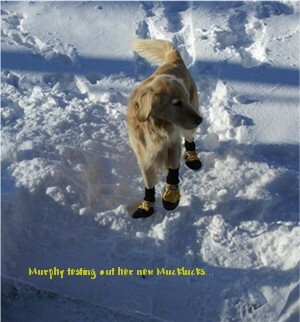 On our weather page, I have been promising a video of Murphy with her new “”mucklucks”” but as of yet, I have not done this. It really is difficult to get her in action as she tends to be a little camera shy. Without a camera, she is very much a ham as most who know her know.